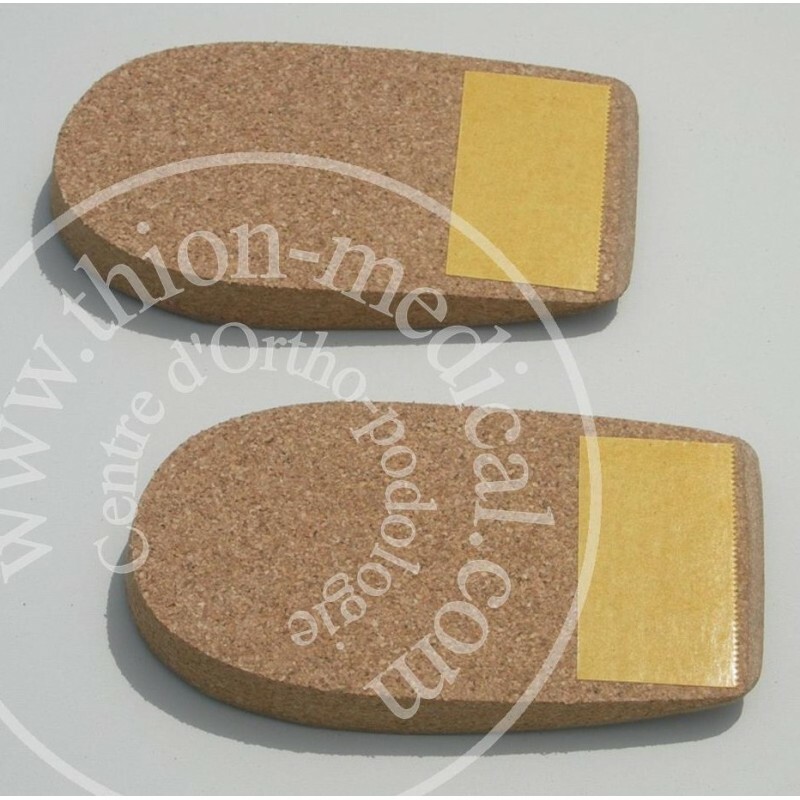 Our self sealing heels are made of cork and leather board used to correct or compensate for a leg shorter than the other or used for increasing someone’s height. The compensation requires the use of incompressible materials for a rigorous and permanent correction. It is important to use heels at all times while in standing upright position. Therefore you must put the heels on all you shoes, boots or slippers. The heel is glued inside the shoe at the heel level, on the shortest leg side. (It has no designated side therefore it could be used on the right foot as well as on the left foot). We recommend in the beginning to take a heel with a height corresponding only to half of the difference of the inequality between the two legs. For example for a left leg 15 mm shorter than the right leg, you should start by a heel 8 mm height. If you cannot determine the right height for the heel, don’t hesitate to contact us either by using the form "contact us", or by phone. We will work together to find the best solution. Our heels are available with the thickness of 3mm, 4mm, 5mm, 6mm, 7mm, 8mm, 9mm, 10mm, 11mm, 12mm, 13mm, 14mm, 15mm, 16mm, 17mm, 18mm, 19mm, 20mm, 21mm, 22mm, 23mm, 24mm, 25mm, 26mm, 27mm, 28mm, 29mm, 30mm, 31mm, 32mm, 33mm, 34mm and 35mm. The Leg Length Inequality (LLI) is validated by a radiography. It corresponds to the difference of height between the two legs, measured at the top of the femoral heads. The first consequence of the LLI is the inclination of the pelvis at the front. This swing of the pelvis forces the spine in a scoliosis position or a real lumbar scoliosis, creating an imbalance of the muscle, ligament and joint tensions. This is how musculoskeletal disorders can settle in, together with the pains that accompany them. 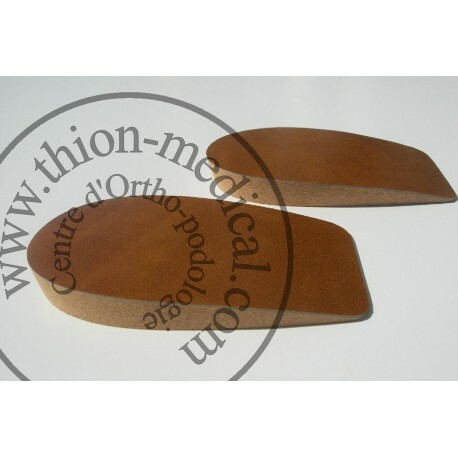 It is important from this point on to wear the heel compensation in incompressible materials with a height adapted to correct the LLI and reestablish the functional harmony. - 38% have a deficit equal or superior to 10 mm. 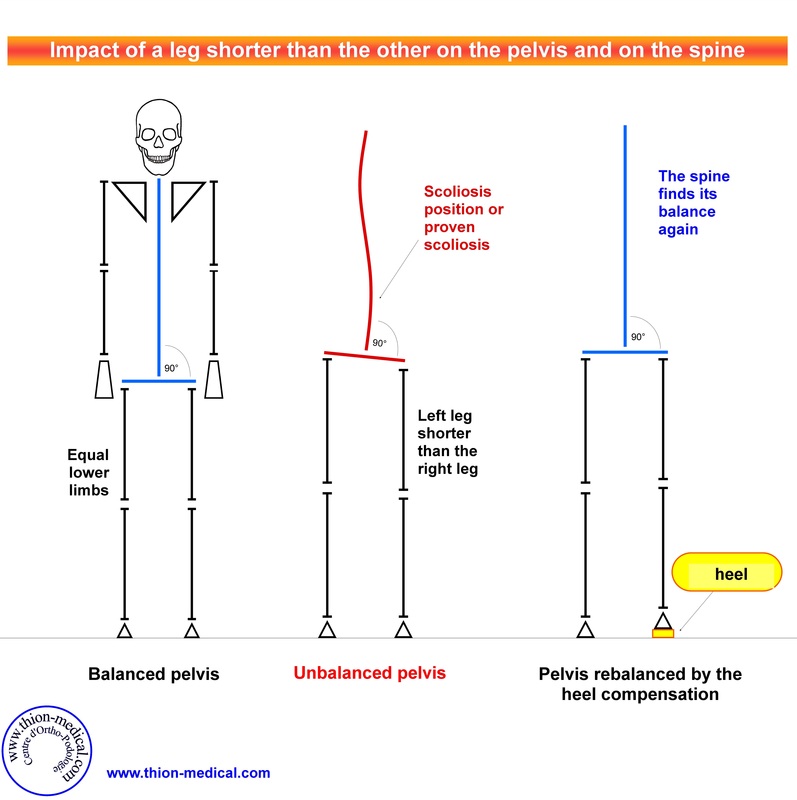 - Only 14% correct their swing of the pelvis by wearing a heel compensation. - Last of all, despite the fact that the LLI is as present in women as it is in men, the women are 5 times fewer than men to correct their swing of the pelvis by wearing a heel compensation ( the main reason to this being the aesthetic concern). 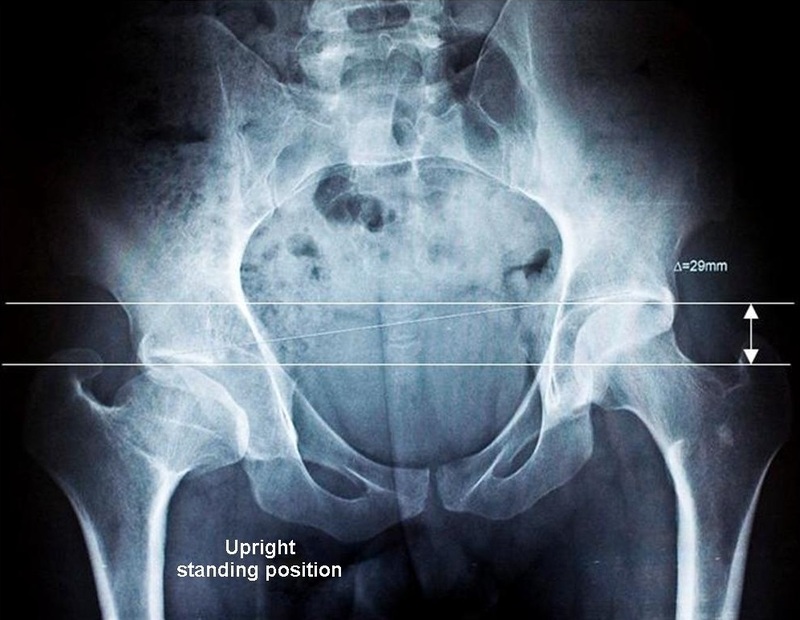 Please note, in margin of these studies, after a hip surgery, after the placement of a prosthetic of femoral head, after sever fracture of the lower limbs or a sever osteoarthritis of the knee or of the hip, it is interesting to control the right balance of the pelvis by all ad hoc means recommended by your doctor. This will allow to check the relevance of a correction and therefore to prevent possible pain episodes.